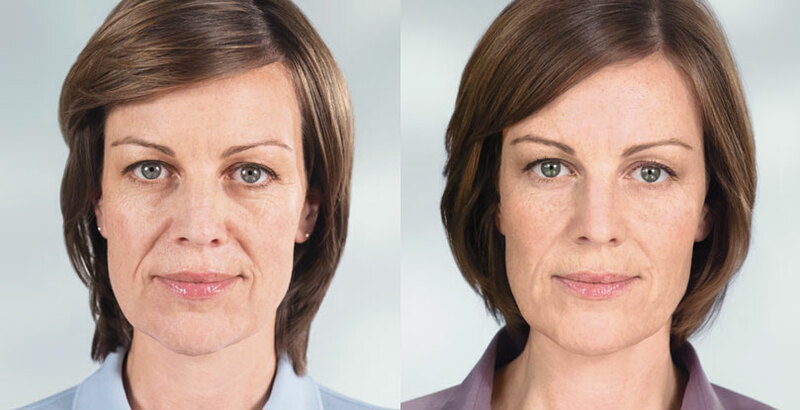 Sculptra® Aesthetic is an injectable facial filler, different from most Hyaluronic Acid fillers. It works alongside your body’s natural regenerative processes to naturally stimulate the production of collagen. Collagen loss is the main issue resulting from aging skin, and is the underlying cause of almost all cosmetic aging issues. Smile lines: Wrinkles or lines that extend from the outside of the nose to the edge of the lips, similar to nasolabial folds. Marionette lines: Wrinkles or lines surrounding the mouth’s edge, similar to the lines of a marionette doll. Chin wrinkles: Wrinkles or lines that extend from the jawline to the chin, and sometimes extend up to the bottom of the lips. 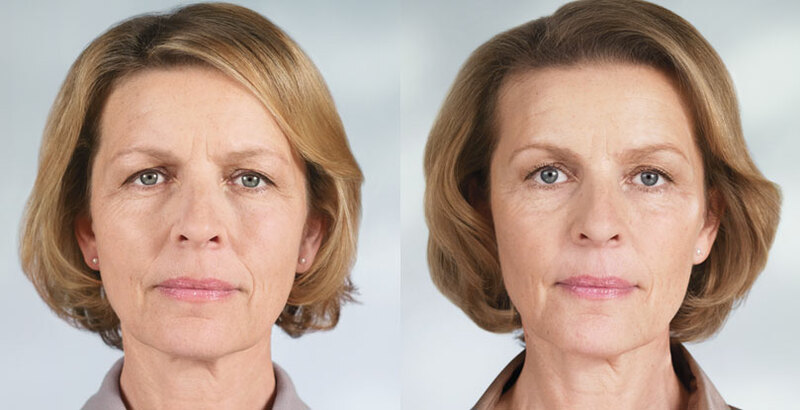 Sculptra® works subtly and gradually over time to provide patients with a more supple, smooth, youthful appearance. As we age our skin loses collagen, the compound that gives skin its volume and helps maintain its supple texture and smooth, youthful look and feel. Sculptra® helps to stimulate the body’s own collagen production, restoring your skin’s health from the inside out. Helping to combat wrinkles, fine lines, and facial volume loss as a result of aging. As opposed to other injectables, Sculptra® works gradually and rather than filling skin depressions itself, Sculptra® helps your body produce collagen to naturally fill in the depressions. This allows for safer, more long-lasting, natural results, that don’t have to repeated as frequently as other facial fillers. What to Expect? Side Effects? The best part of Sculptra® is that the treatments are long-lasting and don’t have to repeated to the frequency of other dermal fillers. 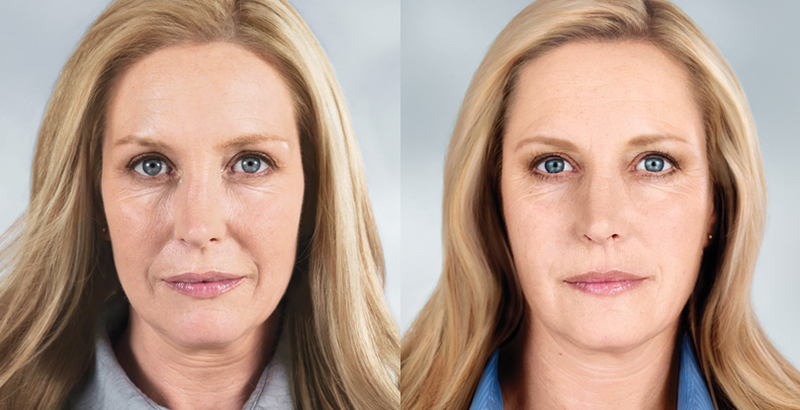 The Sculptra® treatment cycle typically is done over the course of three to four months, with 3-4 total injections spaced approximately one month apart, depending on your specific corrective needs. One cycle of Sculptra® treatment can have results that appear gradually over the three to four months and last up to 2 years! Side effects from Sculptra® are generally rare but occasionally some patients experience mild itching, light redness, swelling, and light bruising at the site of the injection. However, these side effects will only last a few days and will generally taper off. If they persist we will prescribe something to help alleviate the side effects.